Fall Retreat is a weekend for students to retreat to a beautiful campground to grow in their relationship with God and other believers. We will have 4 services, activities, small group and personal times of reflection, and time to enjoy the outdoors hanging out with friends. Registration will be opening in August of 2019. Stay Tuned! Registration is Friday, October 18 from 7:00 - 8:00 pm. There will be no meals provided on Friday night. We will leave on Sunday, October 20 at 12:00pm. If students are being picked up their ride should arrive by 11:30am. Sleeping bag or bedding for a twin bed, personal hygiene items, bible, note book, and pen. There is a gift shop where drinks and snacks can be purchased. Gym shoes - street shoes have to be removed when you enter the gym, athletic clothing, and warm outerwear. Check the forecast - we will be doing some activities outside. 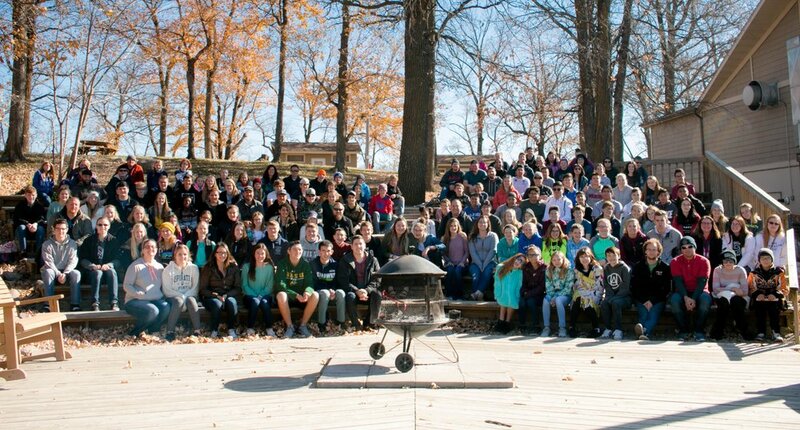 Fall Retreat 2018 was an unforgettable experience!